WILLEMSTAD – Curaçao Airport Partners (CAP) is switching over to a new parking system for Curaçao International Airport, and has chosen the company that produced the parking facilities at Schiphol, Zurich Airport and London Heathrow Airport. CAP will start implementing the new system by the end of March. CAP has hired the services of the company SKIDATA, which is the airport parking management company from Austria that implemented parking systems at major European airports such as Schiphol Airport. CAP is also working with local partners in order to start offering more payment possibilities in the new parking system, such as payment by credit cards, debit cards, paper money or coins. In addition to the new system, the equipment on the parking lot, meaning the entrance and exit barriers and accompanying machines, will also be renewed. 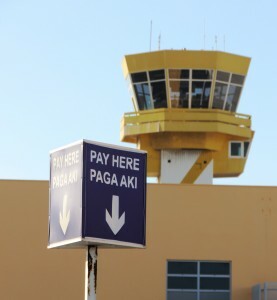 The payment stations will be conveniently located at the Arrivals Hall area and near the Departures Terminal.